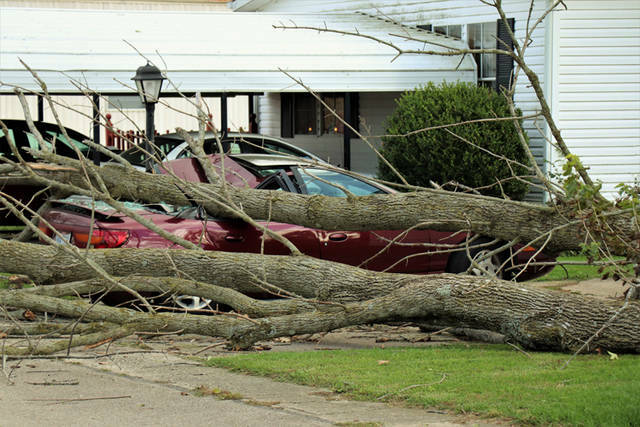 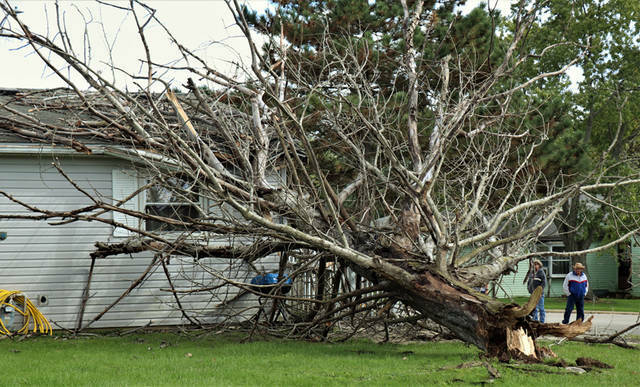 A wind advisory issued by the National Weather Service brought with it winds of nearly 30 to 40 mph and wind gusts upwards of 50 mph this past weekend, causing damage throughout Darke County. 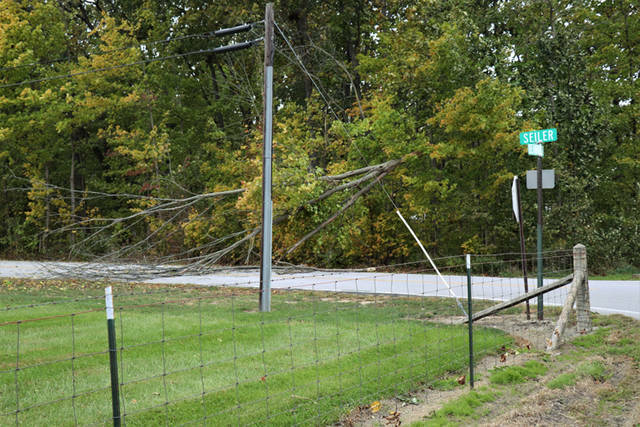 DARKE COUNTY – High winds over the weekend brought with them damage to the area. 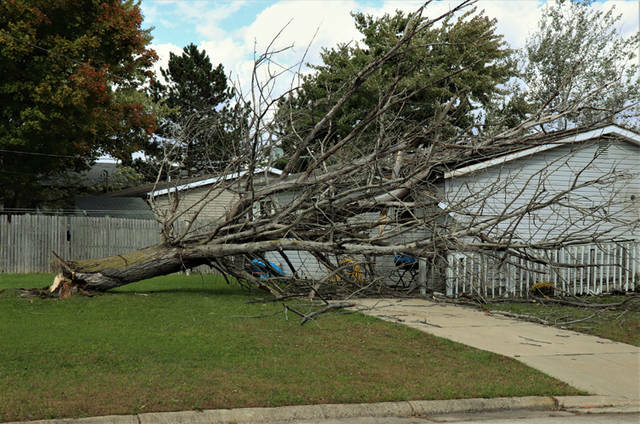 A wind advisory issued by the National Weather Service brought with it winds of nearly 30 to 40 mph and wind gusts upwards of 50 mph. 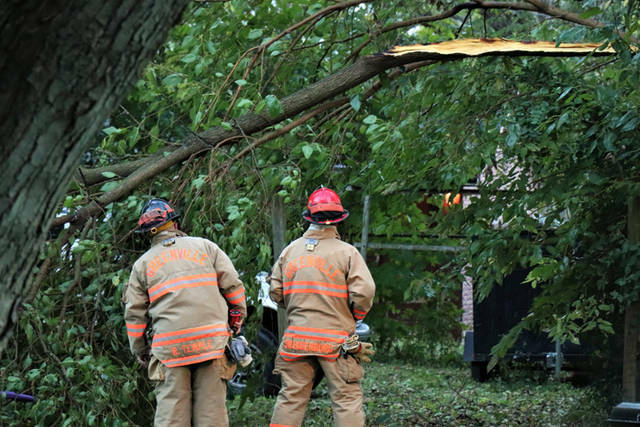 Area fire departments worked endlessly to respond to numerous reports of trees and lines down all over Darke County. 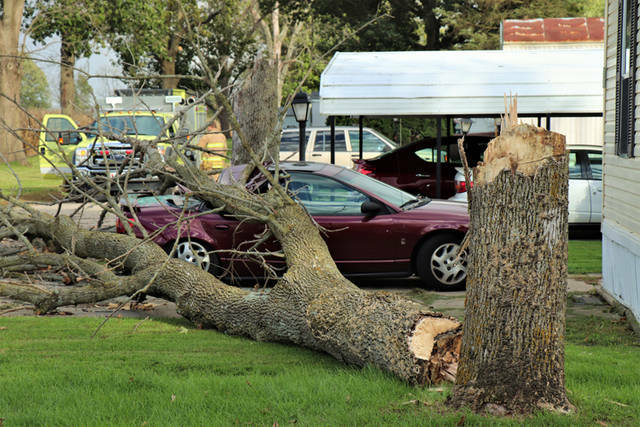 Damage from these reports included trees blown over onto houses and vehicles as well as blocked roadways. 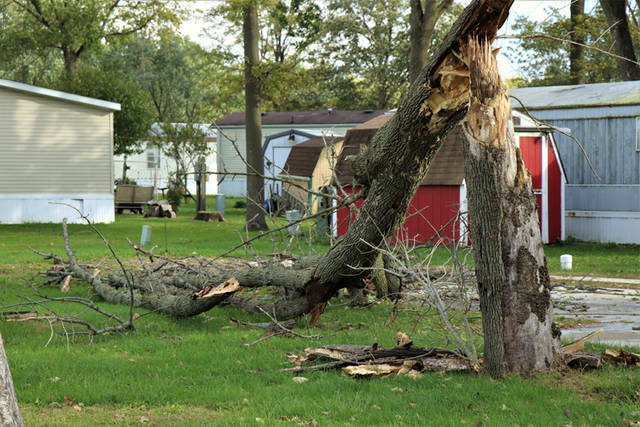 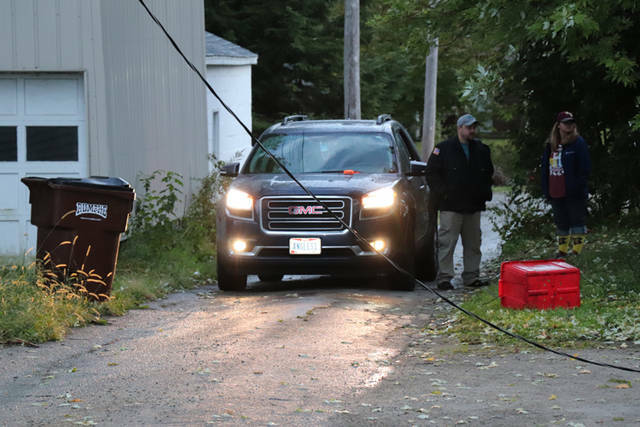 Crews from power companies worked throughout the night to restore power to those who experienced outages from the damage.